Normally all would like to hear the music and it acts as like the best company for many persons. When you are sad then it has the power to pull out the sadness from you as well when you are happy it tries to double it into two. If you wish to hear the song then it would passes through the air conductions through the headphones or ear buds (it depends upon the external device that you make use of it). Then the sound would passes through that external ear and it passes through middle ear that too on the way to the inner ear sanctum of hearing the cochlea. When you hear the excess of noise then it can able to affect your ears and this would results in the permanent irreversible hearing loss problems. The bone conduction has the power to make you to escape from such kinds of the problems. You may ask how does it is possible? It is designed in such a way that it can able to assist people with the conductive hearing loss. It bypass the external ear and middle ear together and forwards the sound from there to directly to the cochlea that is skull and jawbone vibrations. These types of principles are also applicable for the portable headsets that you make use of with the other external devices that had been used for hearing song with multiple effects. These external headsets generally cannot able to fit inside your ears. Instead of that they have the oscillation transmission pads that rest on the mastoid bone which is behind the ear. 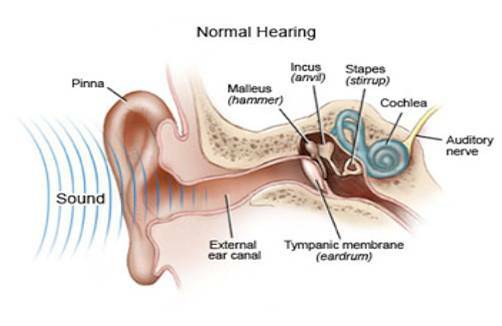 When this process functions then the sound would directly enter into your ears, but when you raised the volume up over the limit then there is a lot of possibility for you to get some ear problems and it can easily cause damage to your ears. When you make use of it you can see the left ear open which allows you to connect to the outside world. So you can be aware of the external things that are happening around you always. It acts as the best friends for the people who hate the in-hear headphones. It does not produce the overheat element to your internal ears so it gives you a comfortable situation. Even when you make use of the bone conduction during your driving you can stay aware about the external things. People who have some problem in their ear can also enjoy the music with the help of the bone conduction. The online makes your work so simple as well as so fast when you order and buy your bone conductor headphones on online you can save your money. As well there is also a need for you to buy and to make use of your headphones from the branded sites. Only then if there is any problem you can able to easily replace them with the new once. · The aftershokz TREKZ titanium open ear Bluetooth headphone which would be more stylish as well as easy for you to make use of it. o Even you can get them with the support of the microphone. o There are different inbuilt features and functions had been joined into it. o Based on your required needs you can pick your own headphones and make use of it. · Even when you are in need of wireless then you can get the model based on that as like the aftershokz bone conduction gaming headsets that is wireless. o The color of this headphone would be red in color. o You can use them easily as well you can take them to the different places that you like without any tensions. · If you try out for something new and different then you can try out with the casesack bone conduction headphones for aftershokz As600 Trekz. · Sometimes when you like to prefer the simple type of the model then there you can make use of the Aftershokz wireless bone conduction headphones. When you buy the each headphone on online you can able to get your attractive discount offers up to 10% to 25%. If you make use of them effectively sure through that you can able to easily get benefited as well this is the best chance for you to protect your ears.